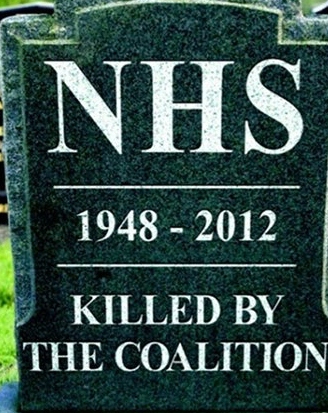 2012 will go down as a cataclysmic date in the history of the English health service. It was the year when the virus of privatisation finally gained control of the cell nucleus of the NHS and began its destruction in earnest. If you listen to the politicians you wouldn’t know it. According to David Cameron, “we will not be selling off the NHS.” If you believe Nick Clegg, “there will be no privatisation.” They have been able to get away with this deception because the transformation they unleashed is messy. It is happening everywhere, but not uniformly. It is hidden by its very scale and spread. But take a step back and the patterns are unmistakable. The controversial Health and Social Care Act passed in March 2012 ended the English National Health Service in all but name by abolishing the 60-year duty on the government to provide comprehensive healthcare for all. In its place is not so much a new structure as a process with its own dynamic-that of a snowball tumbling down a hillside. All across the country treatments that patients used to receive are no longer available to them. Hip and knee replacements, tonsillectomies and cataract operations are among the procedures being restricted, forcing patients to wait longer, suffer in pain, or go private. Surgeries, wards, units and community services have been closed and clinical staff shed as the NHS desperately seeks to make “savings” of £20 billion. With perfect symmetry, the private sector expects to win £20 billion of business from the NHS, according to the corporate finance adviser Catalyst. Huge slices of the health service are being awarded to the highest bidder. With remarkable speed a few gluttonous companies: Virgin Care, Serco, Care UK – have secured dominant positions in the market, gobbling up services from Cornwall to Cumbria. The defenders of the reforms talk about competition driving improvements, but already it is consolidation, not competition, that we are seeing. Consolidation is also happening in out-of-hours GP cover. In November Care UK took over out-of-hours services for up to fifteen million people across England by simply buying Harmoni, a company that started as a GP co-operative. The only competition patients see is between their health needs and the profit margin. People in Cornwall know which wins out: an official report in July found the Serco-run out-of-hours service in the county was under-staffed and falsified data to meet targets. The biggest privatisations are taking place in community health services. The government’s “any qualified provider” policy means whole services must be subject to competition, leading to the demise of NHS-run options. Local NHS bodies have already been instructed to outsource 39 types of service. Dubbed the “39 steps to privatisation,” this covers everything from autism care to wheelchair provision. Even publicly provided vasectomies are for the chop. The logic of privatisation favours a few big winners over the co-ops, charities and social enterprises that act as window dressing for the policy. A prime example came on April Fools’ Day, 2012, when Virgin Care took over a £500 million contract to deliver community services in parts of Surrey. The joke was on Central Surrey Health, a “social enterprise” formed by former NHS staff that was praised by David Cameron and hailed as a model for the Big Society. Central Surrey Health scored the most points in the bidding process, but the contract was given to Virgin because of its financial backing. Not even hospitals offer shelter from the destructive gale blowing through the NHS. Many Hospital Trusts are being pushed to the financial brink by the disastrous legacy of the Private Finance Initiative (PFI), under which new hospital building was financed by a deal that is akin to paying by credit card, leaving Trusts with crippling debts to the banks. This has led to some Trusts literally going bankrupt, such as the South London Healthcare Trust which serves over a million people in three hospitals. Its PFI debts, like a black hole, have sucked in surrounding hospitals and units, like Lewisham’s A&E department which is now facing closure. Patients are left high and dry. As for the Trust, it is to be carved up and offered piece by piece for privatisation, with the familiar vultures-Virgin, Serco, Care UK and Circle-picking at the remains. In a first for the private sector, in February 2012 Circle took over an entire general hospital at Hinchingbrooke in Cambridgeshire. The hospital has since fallen 19 places in the patient satisfaction rankings and its finances have worsened, forcing Circle to ask for a bailout after just six months. Combine this with another controversial aspect of the Health and Social Care Act-the ability for NHS hospitals to earn half their income from private patients-and the implications are scary. A chilling investigation by ITV’s Exposure program secretly filmed doctors assuring a private patient that her money would buy priority over NHS patients within the same hospital. It revealed a tragic case where a consultant left half way through a dangerous birth to carry out a private caesarean section. The baby later died. A two-tier health system is not on the way; it is already here. The drive for profit is insatiable, not least because many of the dominant players in the new market are owned by ruthless private equity firms. Similar funding models to that which led to the collapse of the Southern Cross care-home company are now in the NHS. For example, Hospital Corporation of America, which is entering into joint ventures with NHS hospitals, is majority owned by three private equity firms including Mitt Romney’s notorious Bain Capital. 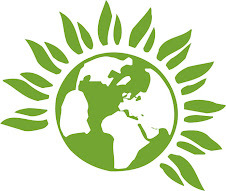 The Labour party, after its record in government of opening the way for privatisation, has changed tack in opposition, repeatedly pledging to repeal the Act and scrap the market if elected. These are important commitments that it must be held to. But the quantity of contracts currently being signed may take the NHS over a tipping point, where the “facts on the ground” cannot be reversed. That is why it is crucial to monitor, expose, slow and disrupt the destruction of the NHS now, while there may still be time to save it.